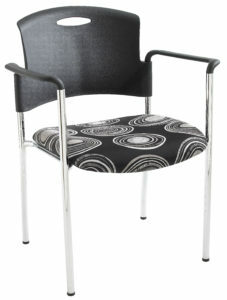 ecoCentric Student chairs offer students superior support in plastic seating for concentrated work or collaborative environments such as lecture halls, meeting rooms, and study and library facilities. 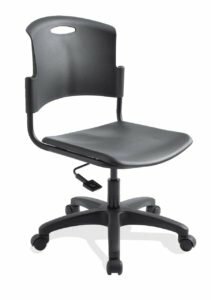 Combining a wide range in seat heights, and footring, base, and caster options with a handle in the backrest that allows the chair to be quickly and easily moved, the ecoCentric Student series accommodates a variety of users and work settings. The ecoCentric Stacker offers superior support in plastic seating to ensure visitors are sitting comfortably even during longer sessions. With its modular construction and available options, the ecoCentric Stacker is well suited for private offices, waiting and eating areas, classrooms and auditoriums.